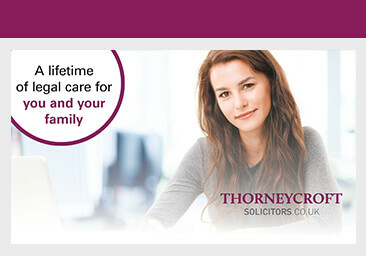 Thorneycroft Solicitors are a firm of solicitors with a reputation for the highest levels of customer service. Based in Macclesfield, Buxton, Whaley Bridge and Holmes Chapel, we have an enviable reputation for both quality of service and customer care. From its inception in 1990 as a general solicitors practice, Thorneycroft Solicitors now provides legal care across a broad range of areas. No matter why or when you need a solicitor, it’s reassuring to know that at Thorneycroft Solicitors you’re talking to individuals who understand your requirements. Experience, expertise and empathy are matched by a realistic approach to cost. You will find our team both friendly and approachable; and each of our solicitors is an expert in their own area of law, ensuring that you receive up-to-date, professional advice.